Imagine every pixelated piece of your life stretching across a movie reel, picture-by-picture, on the big screen. You sit at the edge of your seat, foreseeing what’s next, wanting it to stop, but willing each scene forward into a steep climb with hurried momentum until that instant you can deem yourself safe—the moment you are able to sit back in the dark theater’s reclining seat, breathe a heavy sigh of relief, and sense a temporary feeling of triumph. You’ve made it through your past once again. Oh, but you and I, and most everyone with unresolved childhood trauma, know the truth. You are far from safe. It’s not over. When you leave the theater, nothing has changed. If you were to go back inside and watch the same movie, the drama would play out like before, over and over. I found a way to overcome my past—to stop returning to that theater and reliving my pain with each viewing. It may not feel possible. It is. Write your trauma down on paper—a journal, in a notebook—or write a book, like I did. Begin where you think your life went sour, that one memory that creeps into your head at the strangest times or causes you to scream awake from a sound sleep. Yes! Start there—even if happened ten, twenty or seventy years ago. Don’t leave out a single detail. Trust me, memories that you’d long forgotten—the ones you pushed so far back—will emerge, and not without emotion. Cry. Curse. Scream. Laugh. Whatever it takes. 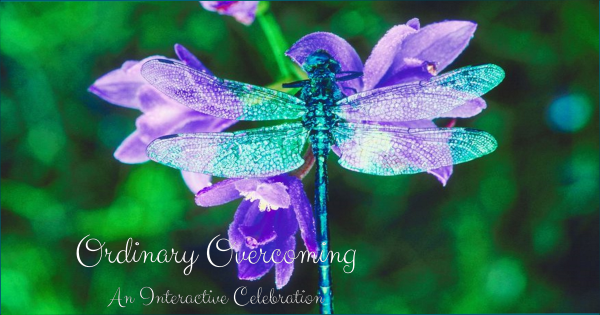 In keeping with the spirit of this blog: ordinary people sharing their own experiences in order to help others, my personal journey is the sole basis for this post. I’m not a medical professional, researcher of childhood trauma, social worker, or a mental health professional. What this means is that I’m admitting to you I don’t have a leg to stand on in diagnosing or suggesting a solution for any trauma you may have experienced. Neither a splinter in your little finger, nor a nervous breakdown—my overcoming a traumatic past is personal—NOT professional. Who I am is an adult who for many years suffered from a childhood trauma. 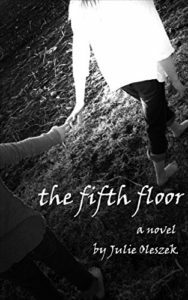 While writing my first novel, The Fifth Floor, I had no idea that my suffering was about to be streamed through tears and onto paper … and I definitely had no hint that the nightmares I’d experienced for years were about to end. I won’t keep you in suspense. When I was seven, my ten-year-old sister died. We’d been playing on a swing set. I was supposed to catch her while she dismounted from an acrobatic trick. I missed. She fell on her head. Weeks later, an inoperable brain tumor took her life. There was absolutely no correlation between the swing set incident and my sister’s brain tumor. The two events were uncannily coincidental. But, I was seven. And a brain tumor being explained was nothing more than a bump on the head. Bingo! My little seven-year-old self internalized that fall as the cause of her brain tumor—the fall I let happen and because of that fall, she died. For nearly a decade, I hung on to such horrible grief and guilt that at the age of sixteen I had a nervous breakdown, two days before the ninth anniversary of my sister’s death. Soon after, I was hospitalized. But how had I lived nine years under the radar of watchful eyes. Why hadn’t anyone noticed I’d emotionally checked out long before that fateful day? There is a reason why hunters dress in green and brown. They intend to camouflage themselves, blend in with the trees and surroundings. Like any sophisticated hunter, I used camouflage. Best practices, such as thriving friendships and being socially apt kept others from asking questions. Report card Cs were perfectly acceptable. As long as I skidded by as an average kid, all was good. However, doctors and other mental health personnel are trained to see past the camouflage. Where others were fooled, they were not. Like the hunter, trained staff waited—fearless, unemotional, and unwilling to turn their eyes away from the target: me. I was fortunate to receive help, but I’m not suggesting my life turned cheery soon after three months of intense therapy. Yes, I learned different strategies and skills to cope with my trauma, but I was still greatly affected by it. My life had been shaped by it. Some days it still consumed me. Until … I wrote my story down on paper—every bit of what I could remember—through every tear and curse, I wrote and wrote and wrote. I hadn’t expected my nightmares to end, though maybe I should have, for I was living them through my writing. There wasn’t a need to be haunted any longer in my sleep. And then, and this is important—when I finished my story, I let it go—in my case, into the public domain. But whatever works for you. Publish it. Share it on this blog. Burn it! Toss it in to the wind! Bury it in your backyard. For me it worked. Try it. You’ve tried everything else, so what’s one more thing? It may be just what you need. Thank you for sharing this story of growth through pain by use of writing. I am sorry you suffered so long. I have also a success story: I learned about tapping, emotional freedom technique by Gary Craig emofree.com, a long time ago. EFT saved my health and my life. Would you be willing to share what happened so long ago and what you did to overcome it? I’m certain others would find your journey to be uplifting and inspiring. May is mental health month, but any time is right to read about growth and healing. I’m always so inspired by other people. We are all connected in one way or another. I have found over the years how much people really do care for strangers and friends alike. It seems like we’ve both found that common ground. Thanks for sharing.